Netflix has made a lot of bad movies. There is no getting around that. But they have managed to learn some lessons, albeit expensive lessons, as a result. It appears as though all of that learning the hard way did some good, as they’re beginning to churn out some fascinating and downright great original movies. Director Gareth Evans’ latest Apostle falls squarely in that category and sees the acclaimed action director make a seamless and welcomed jump to dramatic, and very bloody, horror. 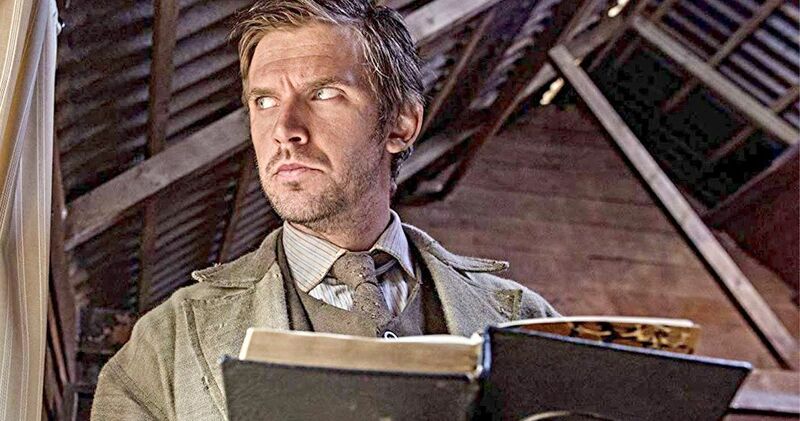 Apostle centers on Thomas (Dan Stevens) who has a complex relationship with his father but an undying love for his sister. After discovering that she’s been kidnapped for ransom, he makes his way to a remote island that plays host to a mysterious cult, led by a “prophet” named Malcolm (Michael Sheen). They advocate freedom and equality, with no currency and shared work. But as with all things that sound too good to be true, this simple island existence as well. And Thomas learns that all too quickly. While Thomas rapidly, but carefully, searches for his sister, Malcolm and his cohorts discover that someone amongst their ranks is not who they say they are and, unbeknownst to them, it’s Thomas. This turns into a very dangerous game of cat and mouse and as the chase winds down, things get bloody, tense and downright weird. For anyone who has seen The Raid movies, which are easily amongst the greatest action movies made in the modern era, if not ever, it should come as no surprise that Gareth Evans managed to craft a visually stunning and compelling horror movie. And luckily, he did manage to sneak some great action in here as well. That said, this is not for those who are put off at the sight of blood and violence. This thing gets downright brutal and there are buckets of blood to go along with some truly distressing, though visually impressive, imagery. The squeamish need not apply. Not to say that Apostle doesn’t owe a lot to previous works of horror, with The Wicker Man coming to mind, but we just don’t see stuff like this every day. A visionary director was given (it would appear) a big budget to craft an unrelenting, uncompromising, strange and unendingly violent period-set horror drama. The results speak for themselves and it’s the kind of thing that is best explored without knowing too much going in. While some in the industry see Netflix as the enemy in certain ways, it’s hard to imagine that this movie gets made in this way with this budget anywhere else. For projects like this, they’re a blessing. It’s just unfortunate that more people aren’t going to be fortunate enough to see it in a theater, as those who were in attendance at Fantastic Fest did. This movie definitely plays on several different layers of fear. The fear of oppression by those in power and the ability that power has to corrupt. And that power inevitably corrupts at any level. There’s also the fear of religious extremism. This movie isn’t necessarily saying that organized religion, on the whole, is bad, but it does serve as a showcase of just how dangerous religious extremism can be. Apostle most certainly can be taken as a cynical look at Christianity. But the surface level stuff is terrifying without any undertones that can be applied to today’s world. Cults are scary and this is amongst the scariest ever dreamed up for cinema. We often think of cults as a batch of crazies who believe in some straight-up nonsense. This movie takes an interesting approach: best case scenario, what if the thing the cult worships is real? It all serves as a literally bloody lesson to never, ever join a cult. One of the best things about this upcoming Netflix original, aside from the stunning visual feast that it winds up being from beginning to end, is the top-to-bottom showcase of raw acting talent. Dan Stevens, who has proven himself a formidable leading man in the past in projects such as The Guest and Legion, delivers a powerhouse performance. He carries the intensely heavy emotional weight of this movie on his back beautifully. As great as Stevens is, as is often the case, it’s the bad guys (depending on your perspective) who steal the show. Michael Sheen is absolutely terrifying and captivating as Malcolm. It’s a meaty, layered role that Sheen plays to utter perfection. His counterpart Quinn, played by Mark Lewis Jones, who Star Wars fans may know as the “Fire on the base!” guy from The Last Jedi, is equally chilling. Quinn is a brooding and abominable force of nature and Jones nails it. Lucy Boynton and Elen Rhys also do a damn fine job. This thing plays out like a Pixies or Nirvana song, with a quiet verse to lull you in leading to a loud chorus that stuns and sticks with you before the whole thing climaxes into pure and downright bizarre chaos one can hardly explain or process fully. To that final point, the score in Apostle is phenomenal and compliments the terror perfectly. Netflix may not be done making bad movies, but they’re sure as heck in the business of making good ones now.